That industry is over saturated. If you wanted to get in, you should have done it years ago. I promise all those opinions are wrong. Even if you know ten other people who do what you do, no one does it HOW do you. Or with your personality, specific skill, or from your place of experience. You are unique. The key is figuring out what makes you different, who you want to serve, what value you provide, and how to speak to your dream clients. You want to be more specific than you think necessary for all those details because this is where you begin to outline your brand messaging. Here are the first few steps I walk my brand strategy clients through. 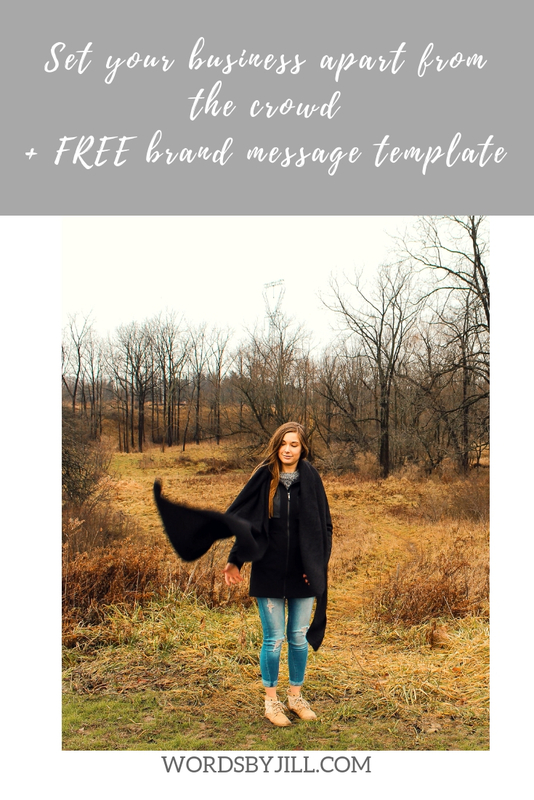 Keep scrolling all the way to the end to find a free printable template you should fill in if you want to refine your brand messaging! Most entrepreneurs can relate to this problem: when you start out on your own, you want to do it all. How do you choose just one direction to focus on when you could be the Jack or Jill of all trades? Listen close. You need to choose one. At least in the beginning, you need to know your niche and stick to it in order to inspire genuine connections. After growing one aspect of your business to a comfortable spot, it will be easier to pivot to include new directions. Practice patience and focus for now. It seems a bit backwards: narrow in on one direction in order to be unique. At first glance, it seems as though multiple directions combined fosters individuality, but niching down is the way to grow! And regardless of how smart niching down is from a business perspective, we need to remember that we are only human. There are 24 hours in a day and growing a business will require quite a few of those before stretching your time thin across multiple areas. One thing I know: You can’t capture an audience without a strong voice. But before you can figure out what your brand walks and talks like, you need to identify your target market. To know your target market, you need to know your niche. Do you see how this all ties together? After you’ve identified your target audience, creating a brand voice that speaks to them is a whole lot easier. This part is a bit difficult to explain in only a blog post, but I’ll try to give a high-level view of the basics. This stage requires significant attention when working with my brand strategy clients! What do you offer and why is it valuable? What relevant personal information can you share with your audience to better connect with them? These details are the beginnings of your brand story. Clearly defining your key messaging makes content creation a lot easier later on because you have a unique-to-you bank of topics to pull from. 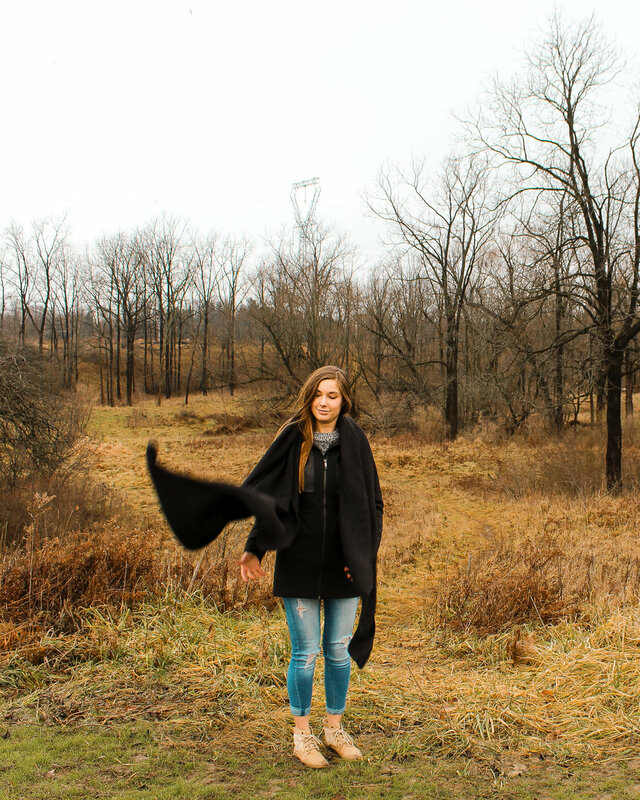 Pieces of your story weave across mediums, platforms, and time to create a complete picture of your business. The perception your audience forms of your business through this story is what we call your brand. The little details go a long way when it comes to client experience—and isn’t the goal to set yourself apart? Take a holistic approach to your branding. Consider all the finer points. For example, if your brand voice uses “we” in your external communications, it should maintain this perspective in your internal client-facing documents as well. Your brand voice, messaging, and communication best practices should be consistent across every piece of content potential clients and current clients see. Overall, you will look more professional and you can thank your attention to detail for it! The best way to stand apart? Walk the talk. Figure out how your competition runs their business, then do it better. After you showcase how you are uniquely qualified and land that new client, prove your value through excellent customer service, smooth processes, and your undeniable expertise. A little effort goes a long way (and referrals are key to sustainable growth!). 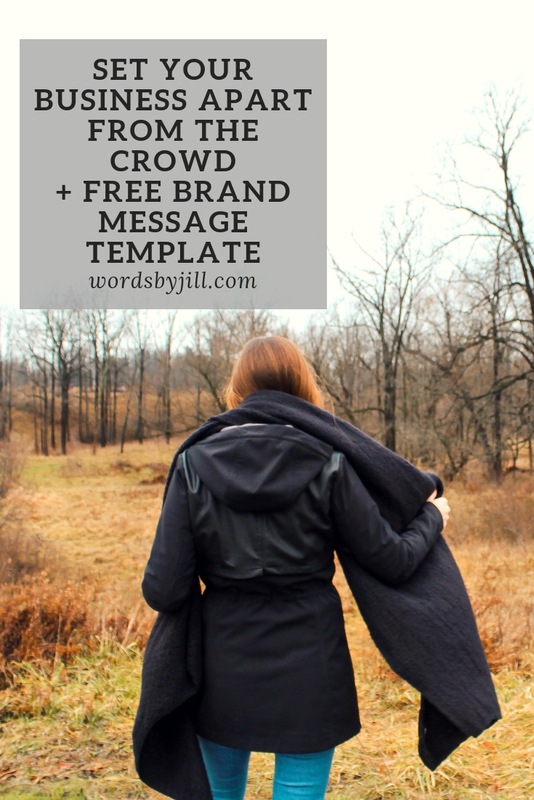 Claim your free brand message template below. Use this download to refine your messaging and ultimately set yourself apart as an entrepreneur. If you’re still stuck, I’m always happy to chat! Learn more about my drop-in Brand Strategy Sessions.